Dr Jill Stanley, BHortSci (Massey), PhD (Griffith), has been involved in horticultural research since 1981, and is currently Science Group Leader – Fruit Crops Physiology & Pollination at Plant & Food Research. 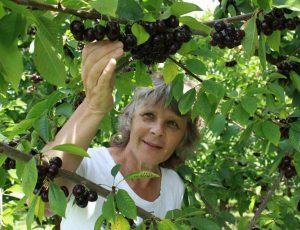 She specialises in plant physiology of fruit crops, particularly focusing on enhancement of fruit quality, regulation of fruit development, production efficiency, tree/plant training and orchard systems, and postharvest physiology, and is currently focusing on summerfruit and berryfruit. She was elected to the Board of Directors for the International Society of Horticultural Science (ISHS) for a 4-year term in 2014, and was previously on the ISHS Council for 16 years.